Clips began to surface last week showing young children of Ctrip employees being roughly handled, and punished by forcefully feeding what parents claimed was spicy mustard at the company's Shanghai headquarters. 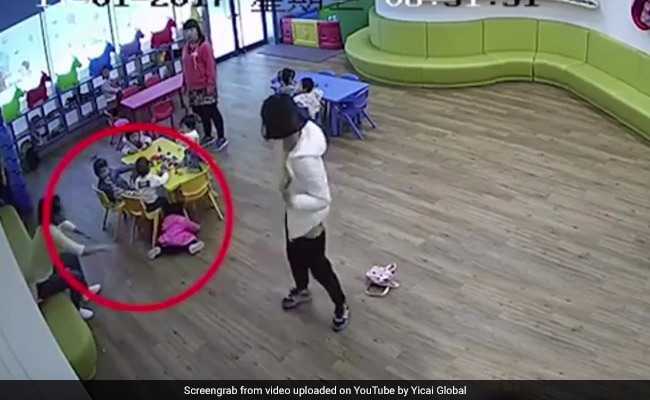 Shanghai: China's leading online travel agency said Wednesday it had suspended two top officials after disturbing video footage of workers abusing toddlers at a company daycare went viral, sparking nationwide outrage. Shi Qi, a group vice president, and vice president Feng Weihua were suspended by Ctrip pending an internal investigation, according to a company letter circulated online. A Ctrip spokeswoman told AFP on Wednesday that the letter was authentic. Ctrip is China's biggest online booking site for air, rail and other travel. It bought British flight search app Skyscanner for $1.7 billion last year.